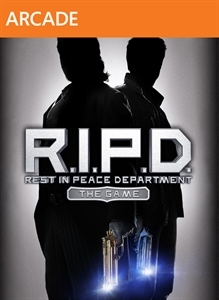 Today's new arcade release is a videogame adaptation of the upcoming movie R.I.P.D, or Rest in Peace Department which will feature Ryan Reynolds and Jeff Bridges as otherworld Police Officers. It looks like a pretty decent 3rd person shoter, so be sure to check out the trial! If you want the full version of R.I.P.D., it will cost you 800 MSP ($10). "Based on the upcoming 3D supernatural action-adventure film, R.I.P.D., you and a partner will take up the holsters of two lawmen dispatched to the otherworld to protect and serve the living from an increasingly destructive array of souls who refuse to move peacefully to the other side. Top-notch teamwork and an arsenal of badass weapons are the keys to defeating your enemies and bringing order back to the world."